What's The Best Child Toothpaste? - Adelberg Montalvan Pediatric Dental PC & Orthodontics too! What’s The Best Child Toothpaste? In order for children to have good oral health, they must regularly visit the dentist. Choosing the right toothpaste is also important. Many companies try to reach parents by promoting their different features. With so many companies on the market, choosing the right toothpaste for their children can be a stressful experience for parents at times. 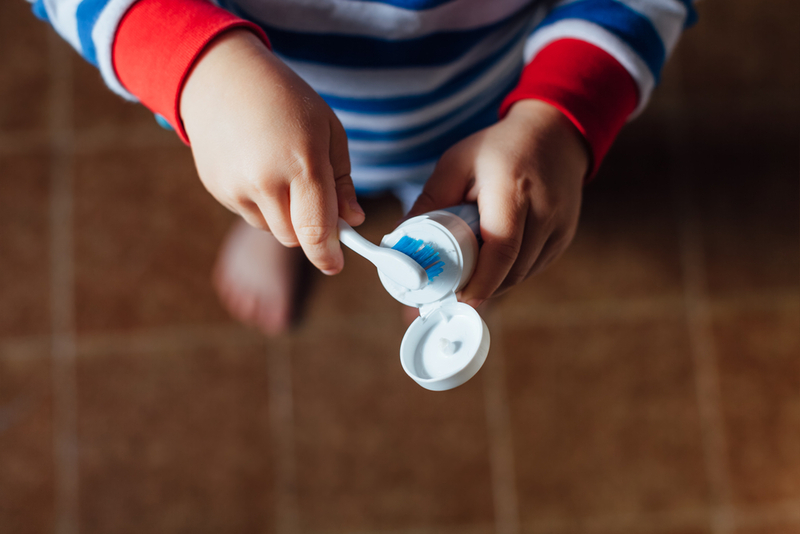 Here is a look at the top children’s toothpaste options available on the market. Founded in Switzerland during the 1920s, Weleda uses only natural and organic ingredients. The ingredients are often grown in different gardens, or they are purchased from biodynamic and organic farms. The ingredients help provide a soothing touch to the teeth and gums. Colgate provides popular flavors that children enjoy, such as strawberry and watermelon. Colgate uses a liquid gel formula, and provides multiple benefits as a toothpaste as well as a mouthwash that helps prevent children from getting cavities. In addition to the toothpaste, Colgate normally provides a toothbrush, which creates an appealing package for families. Tom’s of Maine is an anticavity toothpaste that helps defend against acids and bacteria. Children are enamored with the taste, as Tom’s of Maine contains real fruit juice. Tom’s of Maine does not use any dyes or preservatives. Crest Pro Health provides cavity protection as children start to develop their permanent teeth. Crest Pro Health also uses a mild gel formula to defend against cavities. Crest Pro Health also strengthens enamel, and comes with a timer app so that children are brushing for the appropriate amount of minutes. AloeDent uses aloe vera to help soothe the gums and tea tree oil to help fight bacteria. The silica helps children develop naturally strong, white teeth. Green People uses organic products to make their toothpaste. The ingredients help create a nice taste that will appeal to children. Green People regularly test their toothpaste to make sure that it’s safe. Aquafresh has a mild flavor that helps children strengthen their teeth. Any damaged teeth are cleaned, and Aquafresh has fluoride to ensure that children will not develop cavities. For more information about the top toothpaste options currently available for children, contact Adelberg Montalvan Pediatric Dental.